- finding clothing, fabrics, accessories and other textile products exactly according to customer requirements and design. 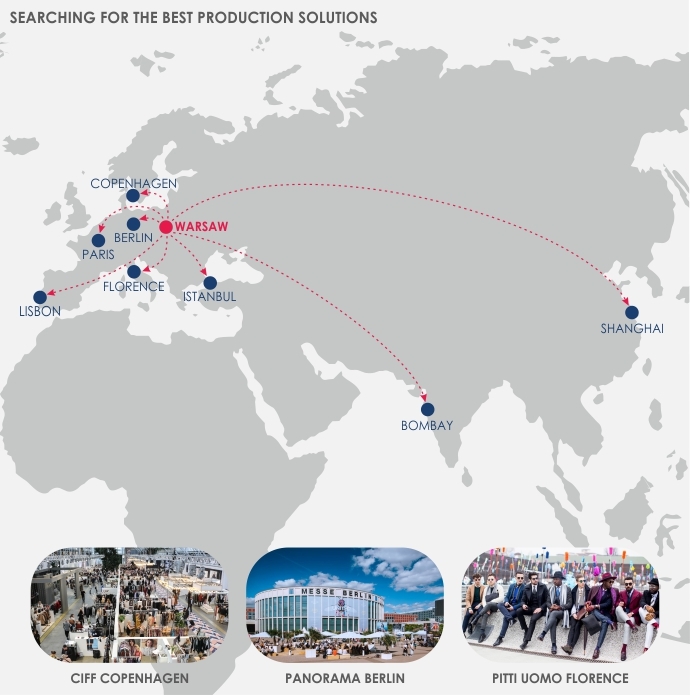 Expertise accumulated over many years of cooperation with European and non-European suppliers is ready to be used to meet the most sophisticated requirements of our Clients. We have a strong manufacturing base in the form of verified garment factories - we can accommodate every, even the most difficult task, even for production orders, and not only for the choice of materials and accessories.